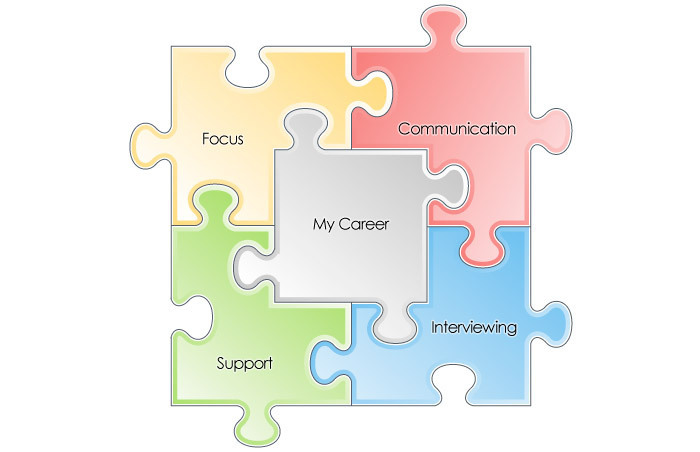 Undertaking a Career MOT is a bit like putting together a jigsaw puzzle. We take our cars to a garage each year to make sure they are working on all cylinders, comply with the law and give us the best means of transport for getting us from A to B. By keeping our cars in good condition we know they are reliable safe and gives us when we need. A career MOT is similar, but how often do we spend the same amount of time and energy making sure our careers are also operating on all cylinders? First Piece: Focus, helps you to think through what you need from an employer and what you have to offer, in short what is going to give you the right balance now and in the future. We will then explore the different career options available, and decide which is the most appealing and viable for you. Second piece: Communication, together we create a captivating and interesting Curriculum Vitae, which captures all your skills, knowledge and personal qualities that make you attractive to a potential employer. We will look at more productive ways to respond to job advertisements, finding your way through online recruitment and building relationships with recruiting agencies / head hunters so that you have more chance of being called to interview. Third piece: Interviewing – the fun part! This is the bit most people dread, but remember it is a two way process…you are checking out the employer just as much as they are checking out you! We prepare and plan how to approach your interview, think about what you want to say, practice those difficult questions, and think of questions you may want to ask to ‘check out’ the employer. Finally, we will identify a number of strategies that will help you reduce any nerves; promote your personal creditability helping you to exude confidence on the day. Fourth Piece: Support, after all your hard work, it can be disappointing not to get the first job you apply for. It is natural to feel let down, disheartened and disillusioned with the whole process – it is now that you need gentle ongoing encouragement and focus to build up the strength for the next opportunity and to keep you on track so that all your hard work brings you’ the rewards you deserve. My sole focus is to help you make the right decisions now and for the future. Working together to find out what excites you, makes you tick and what motivates you, we then create a plan for your future growth and success. When our careers are aligned to our personal goals, values and beliefs we are better placed to live fulfilling, healthy and rewarding lives.